6. In Presence of Concentrated point load sudden change in Shear force takes place. 7. In presence of concentrated moment, sudden change in Bending moment takes place. 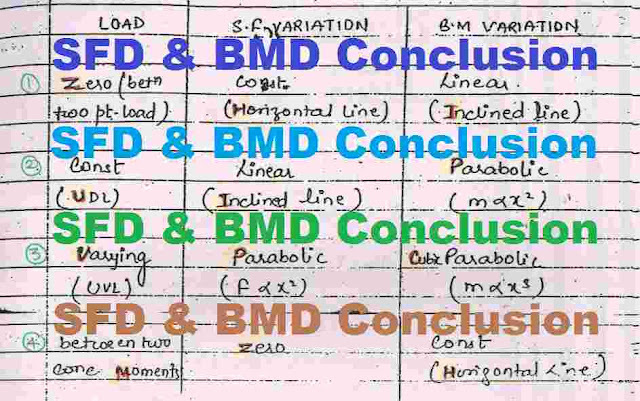 Check it: SFD & BMD Handwritten Notes for GATE, ESE, PSUs. Your Like and Share motivate us to post more such useful conclusion. So, Please Like & Share it.